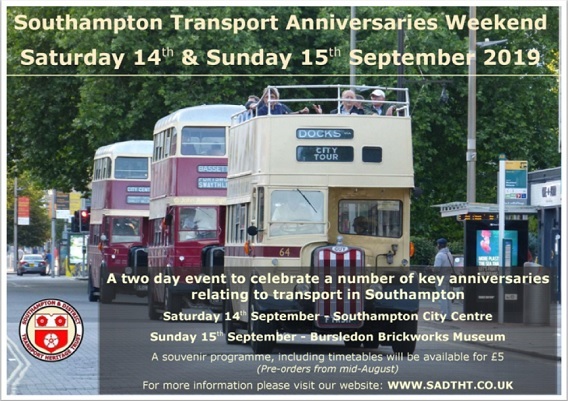 The Southampton & District Transport Heritage Trust (S&DTHT) was established in 2001 and is dedicated to the preservation of former Southampton buses and other vehicles from around the local area. The Trust provides an opportunity for many to get involved with the preservation and operation of Southampton’s heritage transport. The activities of the Trust revolve around the preservation and restoration of vehicles together with social meetings of members and their guests. Please take the time to have a look through our website for information about the Trust and vehicles associated with us, as well as the history of Southampton's transport. The Southampton & District Transport Heritage Trust (S&DTHT) is one of four separate and operationally independent bus preservation projects in Hampshire and West Sussex that are administered by the Working Omnibus Project Limited (WOMP) - the others are the City of Portsmouth Preserved Transport Depot (CPPTD), Medstead Depot Omnibus Group (MDOG) and the Stedham Garage Group. Thanks for looking and if you have any questions feel free to Contact Us. Material on this website, including text and images, is protected by copyright. It may not be copied, reproduced, republished, downloaded, posted, broadcast or transmitted in any way except for your own personal, non-commercial use. Prior written consent of the copyright holder must be obtained for any other use of material. Copyright in all materials and/or works comprising or contained within this website remains with Southampton and District Transport Heritage Trust. No part of this site or sub-domains of this site may be distributed or copied for any commercial purpose.